water to kill any insect and remove sand and stones inside the fish. the remaining onion. wash and shred the pumpkin/ugwu leaves. ingredients settle at the bottom of the pot and oil is floating at the top. simmer for 3 - 5 minutes. Remove from heat. 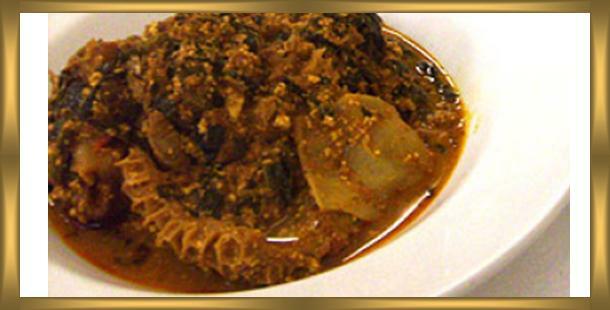 Serve hot with pounded yam, semovita or eba.